Bike Registration and Children’s Bike Rodeo May 17! Do you want to have your bicycle registered with the police department in case it is lost or stolen? 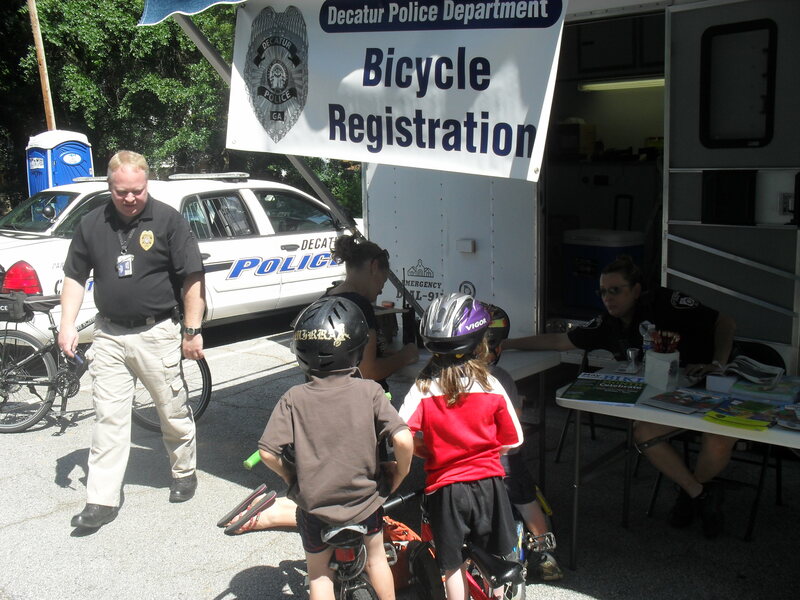 If so, please stop by the Children’s Bike Rodeo Saturday, May 17, 10 a.m. – 1 p.m. in the Callaway parking lot, located at the corner of West Trinity Place and Commerce Drive in downtown Decatur. Decatur Police will record the identifying information for your bicycle, apply a decal and photograph your bicycle so that in the event it is stolen, the needed information will be on file. Also, in the event the bicycle is found, it can be reunited with its owner. The process takes just a few minutes. Even if you are not attending the bike rodeo, please bring your bicycles by and get them registered.